Italian airline, Blue Panorama, has chosen to expand its ancillary offerings, working with global online parking reservation provider, ParkCloud, to provide its customers with online parking reservation services. With an enthusiasm for new challenges, Blue Panorama is always ahead of the curve, often predicting and developing new market trends. One of the innovative new ways it has expanded its ancillary offers to its customers is through a new partnership with ParkCloud. Using touch points on their website and email marketing, Blue Panorama can increase its ancillary revenue by offering its customers the ability to book parking online, using ParkCloud’s extensive database. ParkCloud will offer onsite and offsite parking from Blue Panorama’s Italian, French and Greek airports; including Bergamo Airport, Malpensa Airport and Bologna Airport. Customers will be able to reserve and choose from a range of convenient parking options, such as long stay, short stay and meet and greet. 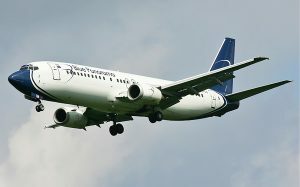 With its two main hubs in Rome and Milan, Blue Panorama Airlines is a dynamic and flexible company offering high level services to the best tour operators and its prestigious customer base. Established in 1998, Blue Panorama has a talent for innovation, following the highest quality of standards on charter and scheduled flights – executed with Italian style and expertise. ParkCloud was founded in 2008 as an online parking reservation service and within the nine years we’ve been operating our success and growth has been rapid; we’ve gone from one country to over 40 – and we don’t plan on slowing down. Today we are an award-winning, global provider, working with car park operators include them on our comparison search engine, which aims to give consumers the most user friendly, efficient service possible when they need it most.